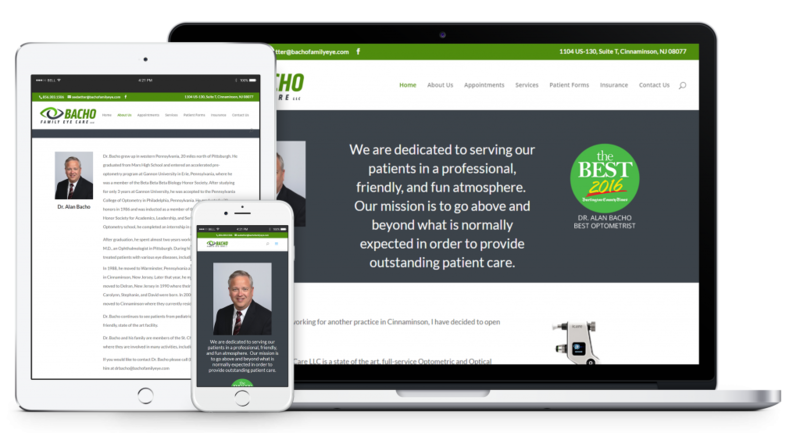 Dr. Bacho grew up in western Pennsylvania, 20 miles north of Pittsburgh. He graduated from Mars High School and entered an accelerated pre-optometry program at Gannon University in Erie, Pennsylvania, where he was a member of the Beta Beta Beta Biology Honor Society. After studying for only 3 years at Gannon University, he was accepted to the Pennsylvania College of Optometry in Philadelphia, Pennsylvania. He graduated with honors in 1986 and was inducted as a member of the Gold Key International Honor Society for Academics, Leadership, and Service. While attending Optometry school, he completed an internship in pediatrics.